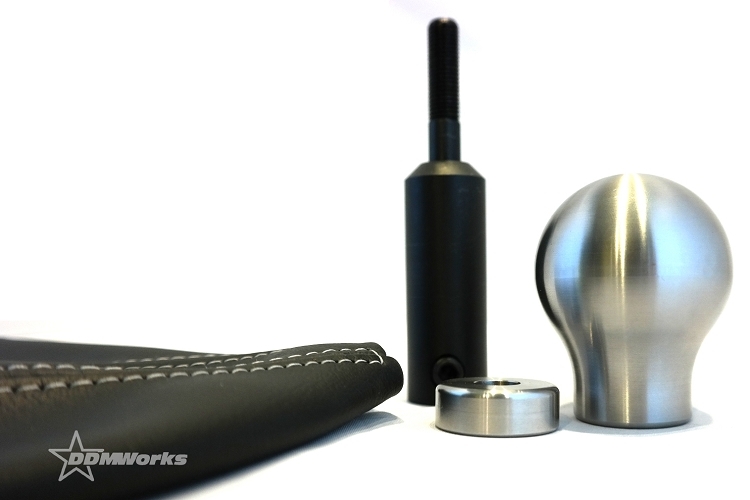 The DDMworks Shifter adapter allows the customization of your Solstice/Sky by giving you the ability to bolt on other shift knobs. 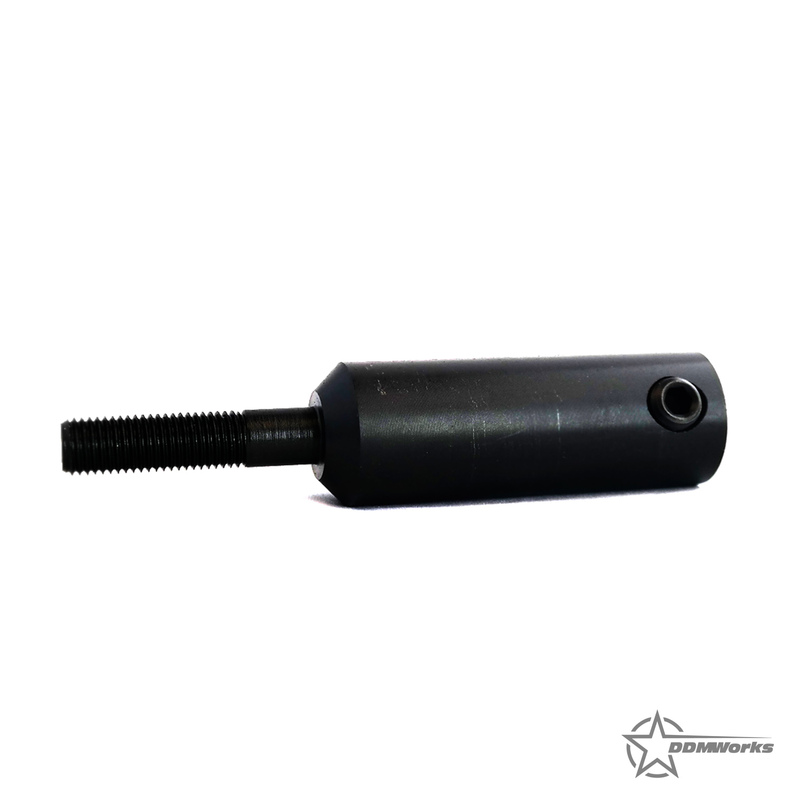 This CNC machines solid steel piece bolts securely to the shift mechanism on the transmission and then offers a common M10 x 1.25 threaded end to allow the use of many common shift knobs. This gives you the ability to make your Solstice/Sky unique and adds some style all at the same time. The stock shifter boot is integrated into the original shift adapter but can be modified to work with the new shifter adapter. We do recommend purchasing a new shift boot for the cleanest and easiest installation. Black oxide coated for long lasting protection. Our Shift boot was designed to fit our Shift Knob adapter. It is same high quality vinyl we use on our Center consoles and is available with Silver or Red stitching. 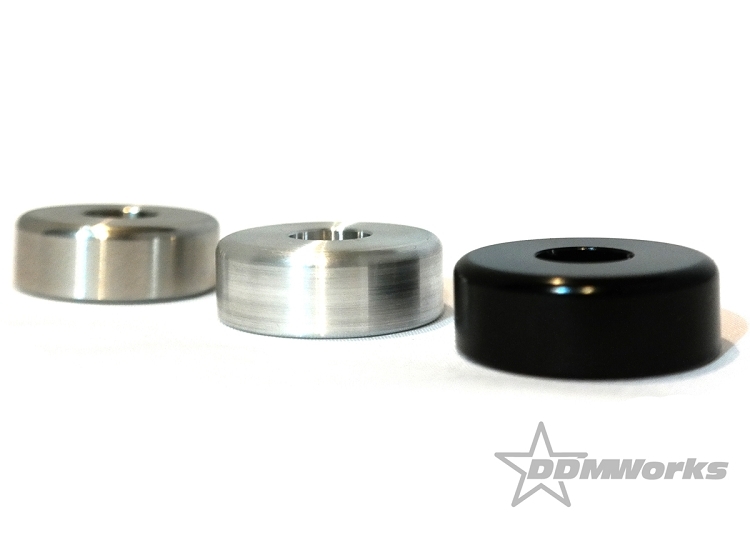 We offer 3 different top trim piece options, Stainless Steel, Polished and Black anodized. 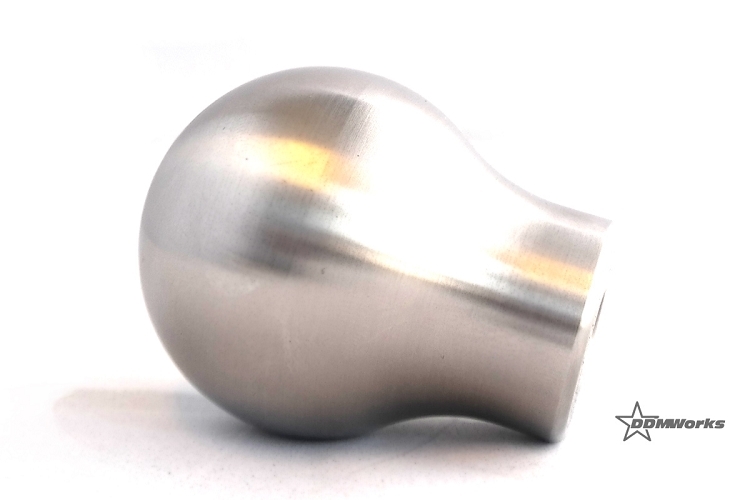 This trim piece goes above the boot, making a smooth transition from boot to shift knob. Please note: this is not the bottom stock trim piece, that piece is NOT replaced. It fit perfectly on the transmission and had a good weight to it. Overall a great product!